Derek Halden is a Past Chair of the Scottish Region of the Chartered Institute of Logistics and Tranport and has served on the Scottish Regional Committee for over 15 years. 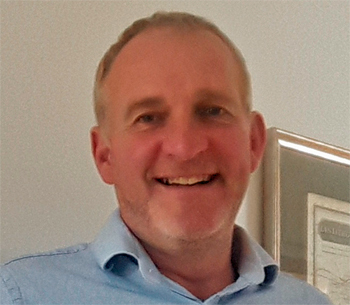 Derek is the Director and Founder of DHC Loop Connections a leading data, consultancy, research, software, and consultancy provider to the transport, retail, tourism and retail industries. He has over thirty years' experience working in the transport industry within research, consultancy, central government and local government. Key projects have included supporting for over 15 years the national UK programme led by DfT to measure and monitor travel times and costs to access opportunities, and associated planning of transport and service delivery to close gaps and improve connectivity. Derek has also project managed major infrastructure projects through feasibility and design including the Stirling-Alloa-Kincardine railway, the Queensferry Crossing, and many local streetscape, community transport and road and bridge projects. Derek's research and innovation on developing the relationships between transport and the wider economy and society has earned him an international reputation through which he has been able to contribute to many OECD and EU projects.